Subtly display your Doctor Who pride! 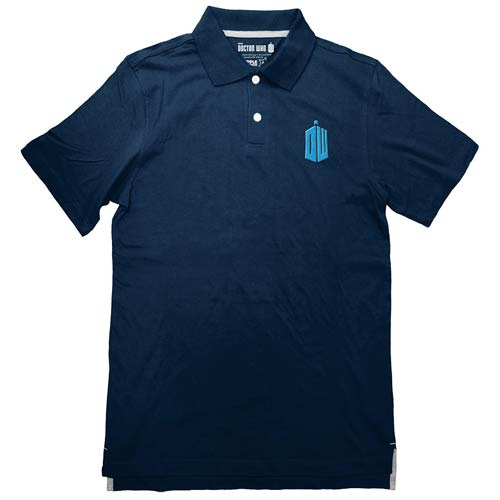 Polo shirt features the Doctor Who TARDIS logo. Add some Time Lord class to your wardrobe! Subtly display your Doctor Who pride with an air of Time Lord style and grace! This Doctor Who TARDIS Logo Blue Polo T-Shirt allows you to dress somewhat nicely while also presenting your sentiments toward the popular and long-running BBC television program. Featuring the Doctor Who TARDIS logo on the left breast, the polo shirt will add some class to your wardrobe. Available in sizes S, M, L, XL, and XXL. Made from 100% cotton.